When Apple released its newest computer operating system a few weeks ago, battery life was the big selling point: one hour more of web-browsing. Laptops, cellphones and electric cars are driving demand for cheaper and more powerful batteries, but battery technology has been slow to evolve. The Bay Area is becoming a hub for start-ups and multinational corporations hoping to produce the next big battery breakthrough. Technology like electric cars could depend on it. Currently, there aren’t many models that would work for Srinivasan's daily 70-mile commute. The Nissan Leaf goes about 75 miles before it needs to be recharged. The top-of-the-line sedan from Tesla goes 300 miles, but it runs around $70,000. I think we’re aiming for something very big. It’s like a moonshot. Lithium-ion batteries, found in today’s electric cars and cellphones, have improved in the last 20 years, packing twice as much energy in the same amount of space. Over the decades, computer chips have doubled in speed every 18 months. Srinivasan says today’s lithium-ion batteries have improved about as much as possible with the materials they’re made of. What’s needed is an entirely new battery. “So here is our special printer,” says Christine Ho, co-founder of Imprint Energy. “We actually call it Megatron.” The two-year-old company’s Alameda lab looks a lot like a screen-printing shop. 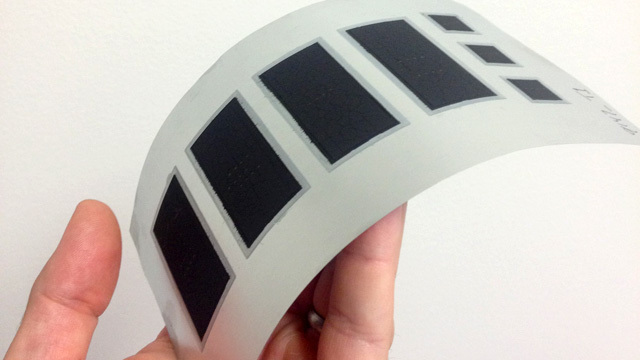 The batteries are printed in layers, producing cells that are paper-thin and bendable. “A lot of our customers and I think consumers in general, they just want things to be thinner,” she says. Lithium-ion batteries don’t perform well when they’re extremely thin, so Ho developed a new type of battery chemistry using zinc. The company is aiming to put its battery in everything from laptops to electric cars, but the battery’s flexibility makes it attractive for wearable electronics, like a cellphone on your wrist. Imprint Energy is just one of about 40 companies working on battery technology in the Bay Area. Many are start-ups that have tapped into millions of dollars of Silicon Valley venture capital. But Ho says building hardware takes longer than building software, and software is what Silicon Valley is accustomed to. “What’s been difficult is the investment community has really had a challenge with how long it takes for these technologies to be mature enough that they’ll be accepted,” she says. Enticed by the potential payoff of a battery breakthrough, major corporations are also getting in the game. 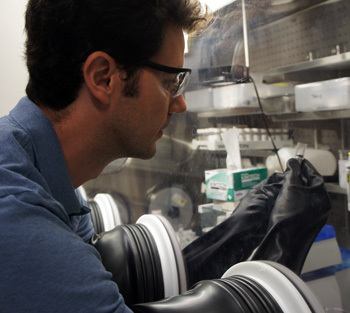 At IBM’s Almaden Research Center in San Jose, researcher Bryan McCloskey holds up a test battery cell. It uses lithium, but it has two little tubes sticking out of it. Batteries are generally self-contained packets of chemistry. IBM is working on lithium-air batteries that use oxygen from the air to create chemical reactions. Getting a battery component from the outside means the battery can be smaller, lighter and more powerful, crucial for electric cars. McCloskey says it could take a decade to develop, but IBM is hoping the battery will take cars 500 miles on a single charge. “If you could envision powering every single car in America with a battery that has IBM stamped on the side of it, that has a huge market,” he says. LG Chem, Bosch and major car companies are also working on batteries. Berkeley Lab is also trying to jump start battery development through the Joint Center for Energy Storage Research, a research hub organized by the US Department of Energy. Its goal: to make a battery that holds five times more energy at one-fifth of the cost in the next five years. Srinivasan says getting advanced battery research into the hands of companies quickly is key for reaching the goal. The Department of Energy has committed $2 billion in grants and funding for battery companies and research. But competition from well-established players in Asia has been tough and two US companies with federal support, Ener1 and A123, have already folded. 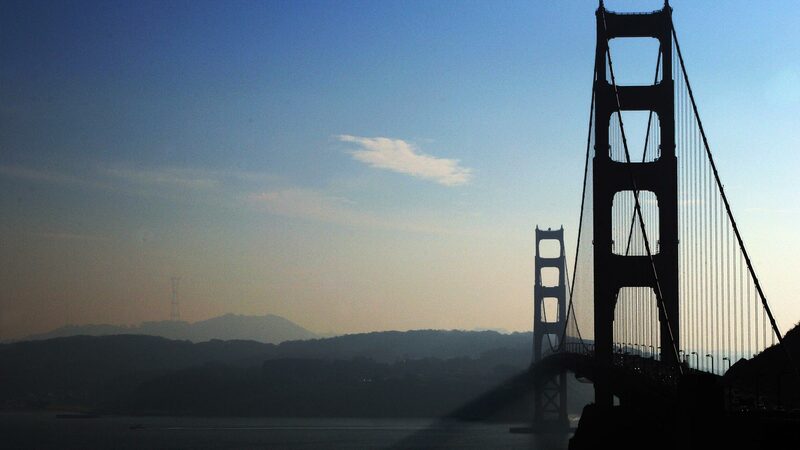 Some in the Bay Area are planning for the new jobs the fledgling industry could bring. San Jose State University is launching a new battery course to train workers, beginning this spring.